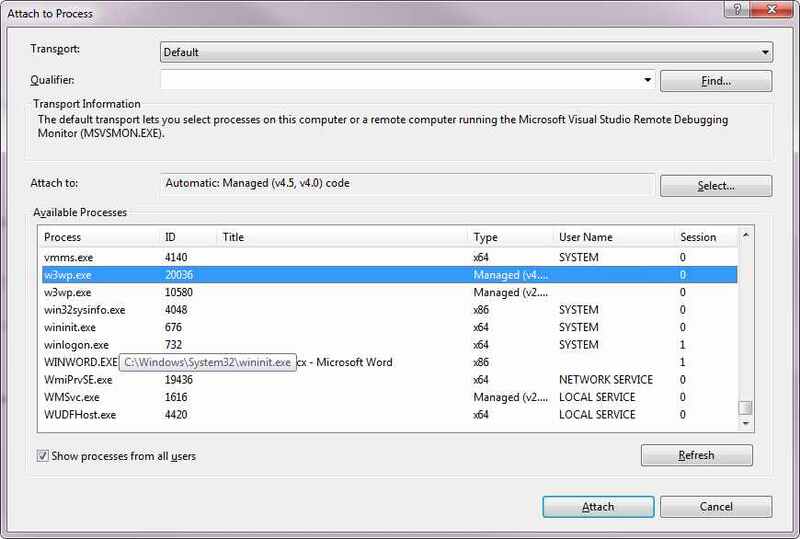 When you try to debug your website locally, often Visual Studio shows more than one w3p.exe processes, if you run multiple application pools. Attaching to all of them is a bit annoying. In this case, this command comes handy.